The Saatchi Gallery in London once again hosted the popular exhibition “Korean Eye“, which showcases emerging Korean artists to the West. This year the exhibition will travel; in October and November it will travel to Singapore and Seoul with the aim of reaching a wider audience. “Korean Eye,” founded by curator David Ciclitira, specialises in introducing Korean artists to the international market, giving them recognition outside the Asian region. The first exhibition, “Korean Eye: Moon Generation” in 2009, was extended due to its popularity, reaching 40,000 visitors in two weeks, and ultimately drawing a total 250,000 visitors. The 2010 exhibition “Korean Eye: Fantastic Ordinary” hosts over thirty works by twelve talented Korean artists with little prior exposure to the Western market. This year the show started off at the Saatchi Gallery in London, and will move to Singapore in October and Seoul in November, to coincide with the G20 Summit. Bae Joon Sung, 'The Costume of Painter - Drawing of Museum R, J. L. David lie down Dress Inn', 2009, oil and lenticular on canvas, 181.8 x 259.1 cm. The ten artists participating in this years exhibit are: Bae Chan Hyo, Bae Joon Sung, Gwon Osang, Young In Hong, Jeon Joonho, Ji Yong Ho, Kim Dong Yoo, Kim Hyun Soo, Park Eun Young, and Shin Meekyoung. In addition, 2009 Joong Ang Fine Art Prize winner Jeon Chae Gang and Perrier-Jouet nominated artist Lee Rim will join the list of members. The success of the franchise clearly shows a rise in interest towards Korean art, but may also have something to do with shrewd management. 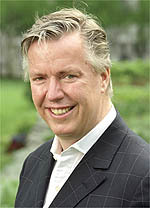 In a 2009 Art Radar interview, “Korean Eye” founder David Ciclitira revealed his views on the future of the art industry and his unique take on the management of art exhibitions, both of which should involve not only collector and auction house input but also government support and bank sponsorship. What I’ve found interesting in this whole learning process is how unsophisticated the art world is, because when you work in major sports events, there are more dates, so much more research, everything is television linked to media values, and art feels amateur when you look at how they do things, and it’s no small wonder that when they need to raise massive money, they find it quite hard. “Korean Eye” is funded by Standard Chartered, one of Britain’s largest banks, and features each of its artists along with a catalogue of their work to create an international selling environment for the brand new Korean works. It has opened up a window of awareness for Korean art in the West and suggests a rise in Korean contemporary art sales in future. Plans for the 2011 and 2012 exhibitions have already been made and involve further expansion. “Korean Eye” will continue at Saatchi Gallery in 2011 and in 2012, and in 2012, plans have been made to expand “Korean Eye” over the entire gallery, where works will be selected and curated by Charles Saatchi and the gallery’s team. Art Radar Asia has found a new tool available to collectors when bidding for artworks at auction – lots can now be won via mobile phone bids. M. F. Husain's 'Kerala - V'. As reported on the Saffronart website, the online auctioneer concluded its most recent sale on 17 June, with ten lots won by the company’s new mobile application. Ten lots were won via Saffronart’s new mobile application, which allows bidders to bid from Blackberrys and iPhones. Those lots totaled $934,272. M.F. Husain’s Untitled was the highest lot sold via mobile, making $235,750. Saffronart, a specialist in Indian art, was founded in 2000 by art collectors Dinesh and Minal Vazirani. It is renowned for its innovative use of new technologies within the art industry; their online auction model was recently the subject of a case study at Harvard Business School. The company has galleries and offices in Mumbai, New York and London. This most recent online auction grossed $6.7 million. 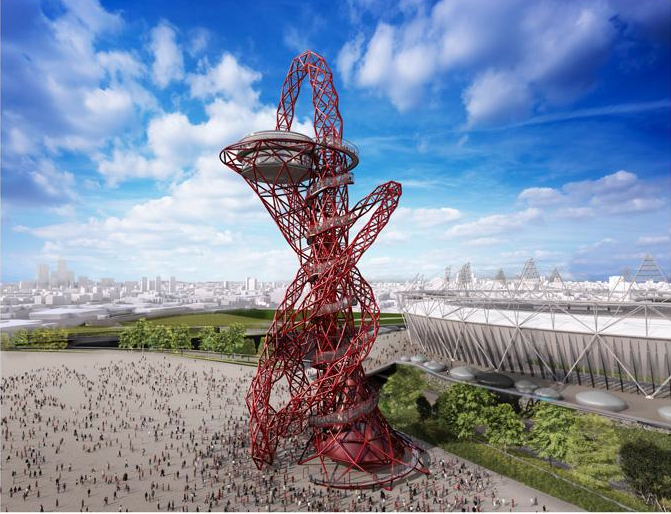 Anish Kapoor’s new work, to be titled The ArcelorMittal Orbit, will commemorate the London 2012 Olympics in Olympic Park. Anish Kapoor has received a commission to construct The ArcelorMittal Orbit in London’s Olympic Park, continuing his successes in London following a 2003 Unilever installation in the Tate Modern and a 2009 show at the Royal Academy. The sculpture will be made of tubular steel and will be the tallest in the UK, rising to a height of 115 m- 22m taller than New York’s Statue of Liberty. There will be a special viewing platform near the top, allowing tourists to see spectacular views of all of London. It is already being considered the monument of the Games for the East End. Subscribe to ArtRadarAsia to get news on Asian contemporary art. 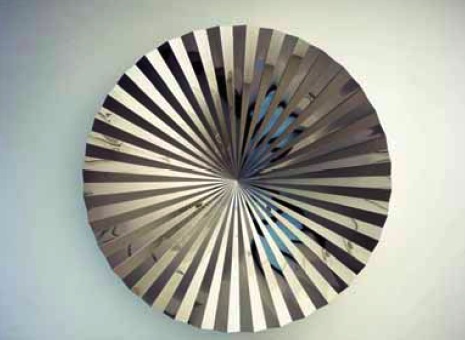 A half day seminar “State of the Art – China 2010: Trends and Developments in Chinese Contemporary Art” will be hosted by ArtInsight and the University of Westminster – Asian Studies department on 12 April 2010. This symposium includes leading figures in the Chinese art scene, like Simon Kirby, director of Chambers Fine Art, Beijing, artist Sheng Qi, and other well-known industry professionals who will analyse the future of Chinese contemporary art. It will consider the development of art spaces, the fluctuating art market, and Asia’s growing importance in the international art scene. Though the seminar fee is £95 for attendees, there is a student rate of £25. It will be held in Central London at the University of Westminster. Subscribe to ArtRadarAsia for news about contemporary Chinese art.